Comics Crusader: Remembering Jackie Ormes Though largely forgotten, cartoonist Jackie Ormes lent a strong voice to black women in the decades leading up to the civil rights movement. She was a pioneer in her day, creating smart and independent heroines that challenged the period's stereotypes. Jackie Ormes' cartoons often responded to events that were important to the black community, such as the brutal murder of 14-year-old Emmett Till in Mississippi. Till was killed in 1955 for allegedly whistling at a white woman. While always stylish, Ormes' long-running heroine became increasingly independent and assertive over time. It's 1937, and young Torchy Brown is about to board a train that will whisk her away from her small, Southern town to the Big Apple. Suddenly, a sign with two arrows catches her eye. One arrow points to the colored section of the train. The other arrow points to the white section. She jumps back, contemplating what she should do. Torchy, who's black, clever and mischievous, decides to pretend she can't read — and boards the whites-only car. 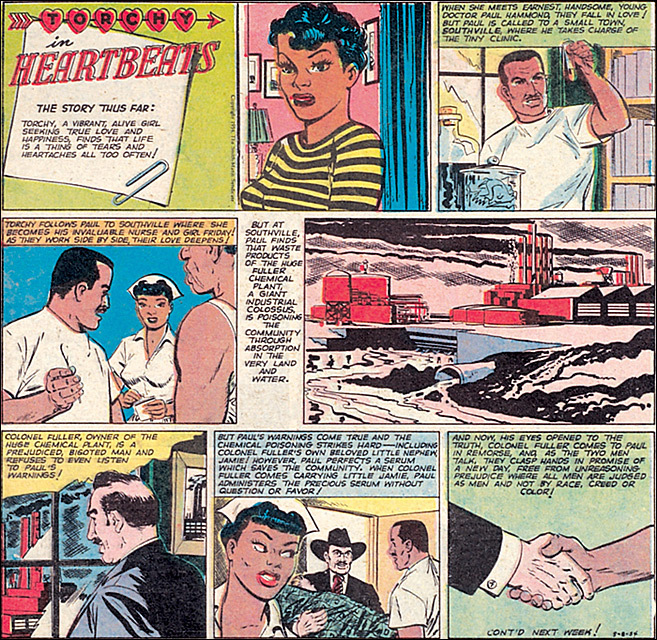 Scenes like that were splashed regularly across the comics pages of the Pittsburgh Courier, an African-American newspaper read from coast to coast. 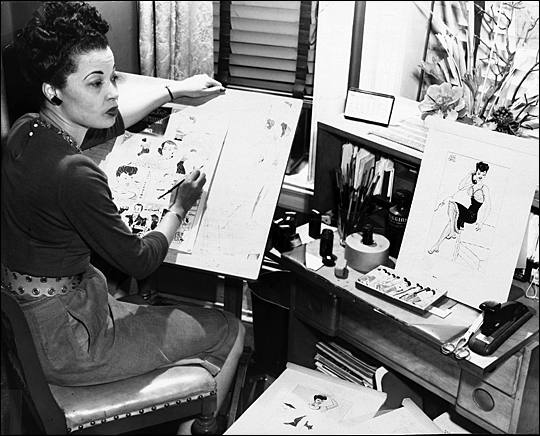 The cartoonist behind the playful, often politically charged comics: Jackie Ormes. 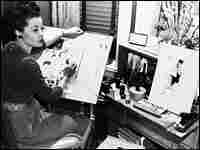 Ormes, who died in 1985, was the first black woman to have a career as a cartoonist. She produced comic strips for the Courier from the 1930s to the 1950s, tackling subjects such as politics, foreign policy, racism and even environmental justice. Torchy Brown was one of Ormes' most beloved characters. She was smart. She was classy. And she frequently rebelled against the prescribed social order. 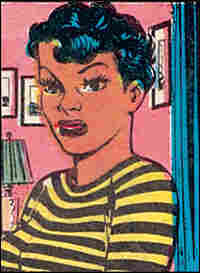 Torchy also differed greatly from the usual depictions of blacks prior to the civil rights movement. Nationally syndicated black cartoonist Barbara Brandon-Croft says that Ormes' characters and stories were real — at a time when blacks were typically portrayed in a derogatory fashion. "Black women were always fat," she says. "Had bandannas on their heads, you know. Had large lips. Were always porters. We were servants. Think of Gone With The Wind, you know. We didn't speak clear English." The characters of Patty-Jo 'n' Ginger — another Ormes comic — ran counter to that stereotype. Ginger was an attractive, college-educated woman, drawn in a pinup-girl style. Her younger sister, Patty-Jo, was sharp and opinionated. 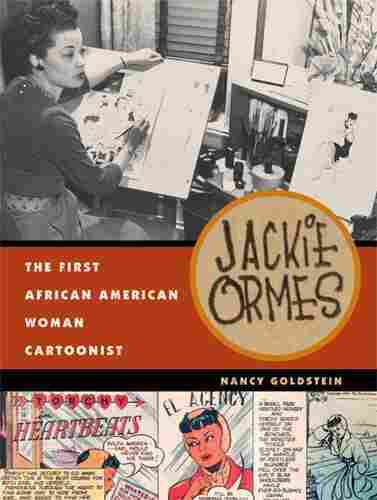 Nancy Goldstein, author of the new book,Jackie Ormes: The First African American Woman Cartoonist, emphasizes that Ormes did a service to the black community by creating role models with her characters. Readers saw that if Ginger could graduate from college and if Torchy could challenge the era's racist status quo, they were capable of doing the same. Ormes "was giving voice to what was in the hearts and minds of so many people: [the desire] to move forward and make progress," says Goldstein. 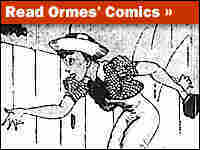 While Ormes was an inspiration for people in her time, today she is largely forgotten, save by older readers and black cartoonists. But people like Goldstein and Brandon-Croft are trying to preserve her memory. They see that Ormes' cartoons present a realistic slice of history from a rarely heard perspective, one that should not be lost.